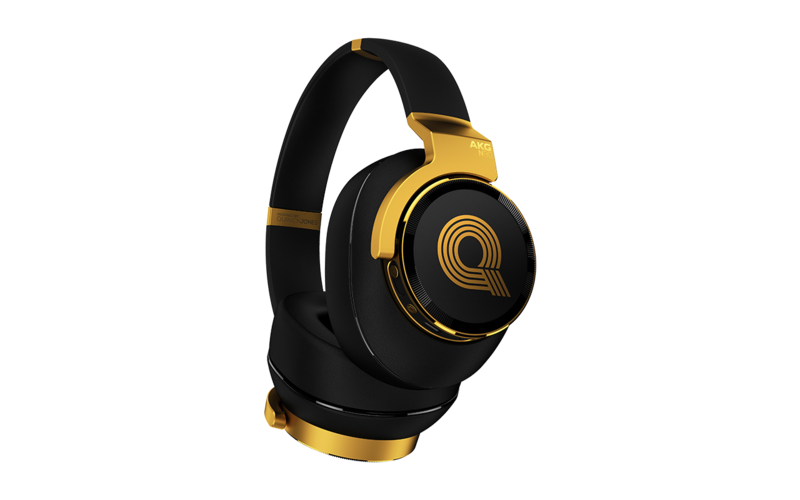 The music legend Quincy Jones has contributed to the development of the new over headset AKG N900Q. A successful task, because the new portable headsets outshine everything else. This is due to a lot of electronics inside, which creates the ideal music experience. Active noise Cancelling shuts off all noises from the environment, leaving only the pure enjoyment for as long as the integrated battery lasts. In addition, there are two microphones in the earpiece. The measure the form of the ear based on the reflections it creates and adapt the frequency response of the signal accordingly. AKG calls this technology TruNote. The user can also set his own sound characteristics.